Stephen Hawking was a theoretical physicist who pioneered new understandings of black holes, the universe, and how much one person can achieve. Hawking died early in the morning on March 14, 2018 – Pi Day and Albert Einstein’s birthday. In passing, he left behind an incredible legacy, especially as a person who struggled with ALS, a neurodegenerative disease that confined him to a wheelchair for the vast majority of his life. 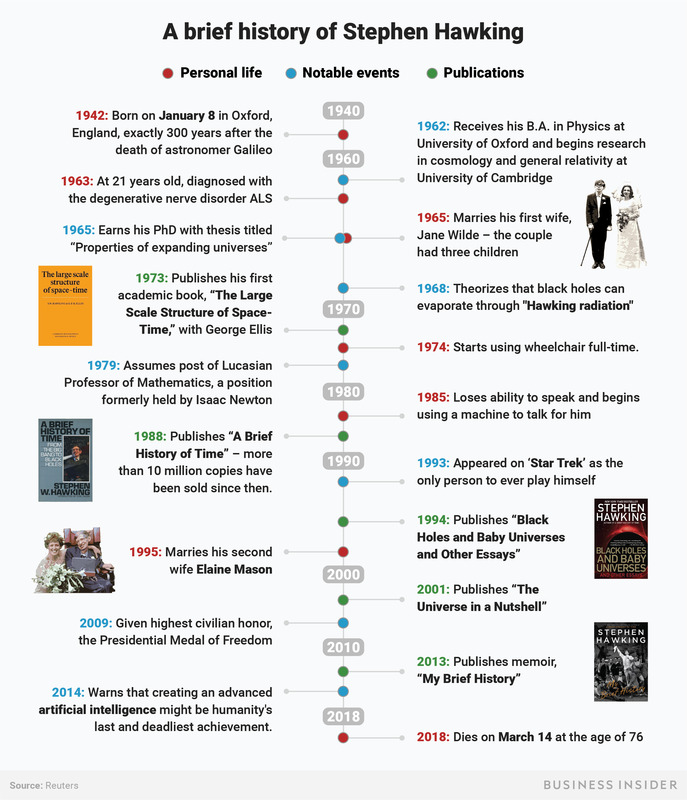 Though Hawking’s life has filled many books and a feature-length film, we’ve summarized some of the most memorable and notable moments in the graphical timeline below.